Take a look at fantastic deals from Cadbury’s with our one-week promotion, above and participate in the contest by clicking below, if you’re a football fan. 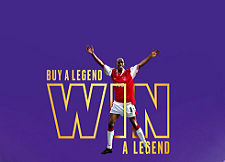 Participate in Cadbury's 'Win a Legend' competition closing on 29th March 2018. All you need to do is upload an image of one of the specified products to enter. There are a variety of prizes up for grabs, including Premier League Legend experiences, match tickets, monthly TV sports passes and tons of other Cadbury’s football merchandise. So what are you waiting for? Click to enter now! Exclusive offers, from Diageo, available on our premium brands such as Smirnoff, Gordons, Bells, Captain Morgan, Hop House & Guinness. 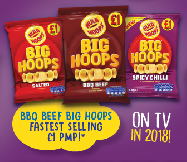 View all our offers on our homepage valid until 18th February 2018 only. Diageo is a world-renowned supplier of well-known premium spirit brands. They produce top names such as Tanqueray, Johnnie Walker and many more. They recently launched their limited edition Singleton whisky. 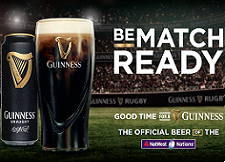 Click here to discover more about Diageo or take a look at our latest deals from Diageo.